Evolve 2.0 Kit by Yocan is the newest Yocan vaporizer coming out of the Evolve line. The Yocan Evolve 2.0 runs on the pod-based system. Like most pod vaporizers, the Yocan Evolve 2.0 offers convenient and straightforward use. 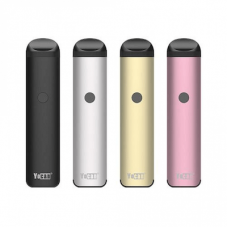 However, it offers functionalities you won’t find on other pod vapes.